Bartow Charleston Wallpaper 27 In. x 27 Ft. = 60.75 Sq.Ft. Bartow Marquette Wallpaper 27 In. x 27 Ft. = 60.75 Sq.Ft. Bartow Prado Wallpaper 27 In. x 27 Ft. = 60.75 Sq.Ft. Bartow Andalucia Wallpaper 27 In. x 27 Ft. = 60.75 Sq.Ft. Massive intricate medallions run vertically and alternate horizontally with lush bouquets of fruit and flowers. 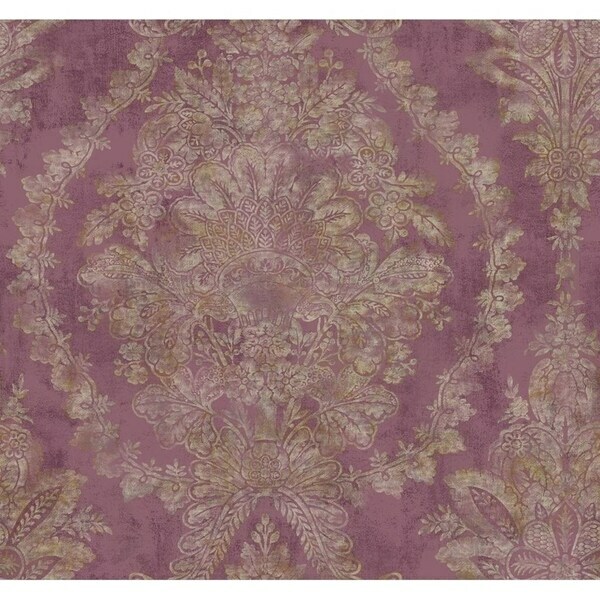 The background looks like antique velvet with a soft reflective sheen, while the raised ogee and floral spray design resembles flocking. Precious metal backgrounds shimmer softly with one exception, a vivid matte pink with an overlay of creamy beige. Use with Whitaker for a beautiful combination. Brooksville Sheffield Wallpaper 27 In. x 27 Ft. = 60.75 Sq.Ft. Bartow Mikado Wallpaper 27 In. x 27 Ft. = 60.75 Sq.Ft. Bartow Whitaker Wallpaper 27 In. x 27 Ft. = 60.75 Sq.Ft.